“Just as progress within any other investigative arena is built upon the foundations of past discoveries, my work also moves forward in a similar manner. I am also complimenting my ‘logical’ creative process with infusions of chance, notions from the unconscious realms and poetic illogic.” – Charles Luce. Charles Luce is an explorer driven by both his appreciation for diverse cultures, and the discovery of the unconscious pathways of his mind. 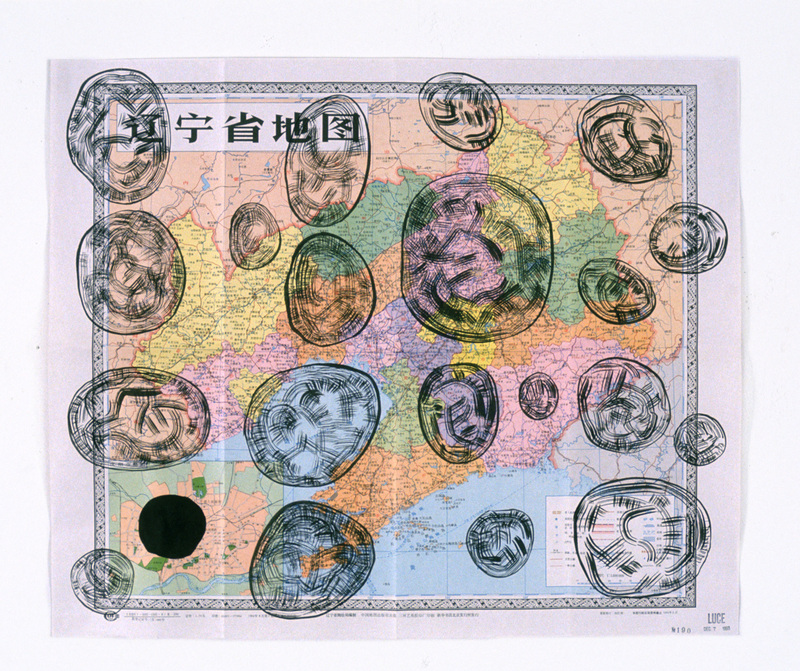 His journey has taken him to the investigation of pictographic and Asian languages. 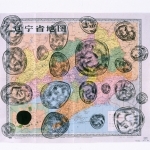 With an analogical use of metaphors, he reveals unique relationships between symbols and images; establishing a language of his very own. Through meditation, intuitive interpretation of the unconscious, and memory, fused with pictographic idiom, he has captured a rare sense of timelessness. Remarkably, these works permeate with a spirit that, over time, whispers surprising new discoveries to its viewer. 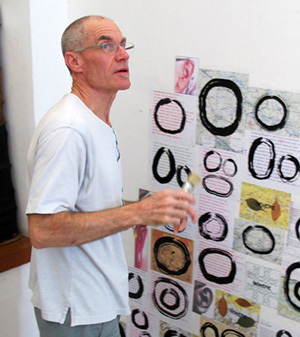 Charles Luce’s abstract creations have honored him with the prestigious Guggenheim Fellowship. They are included among the collections of the Library of Congress, the U.S. State Department, the Seattle Art Museum and the Marvin & Ruth Sachner Archive of Concrete and Visual Poetry. His work has also been exhibited by the Luise Ross Gallery – NY, the Elise Meyer Gallery – NY, the Seattle Art Museum, the Saxon – Lee Gallery – LA and the Los Angeles Institute of Contemporary Arts. His work has also been included in exhibitions in Tokyo, Japan, Cologne, Germany, Paris, France and Johannesburg, South Africa.